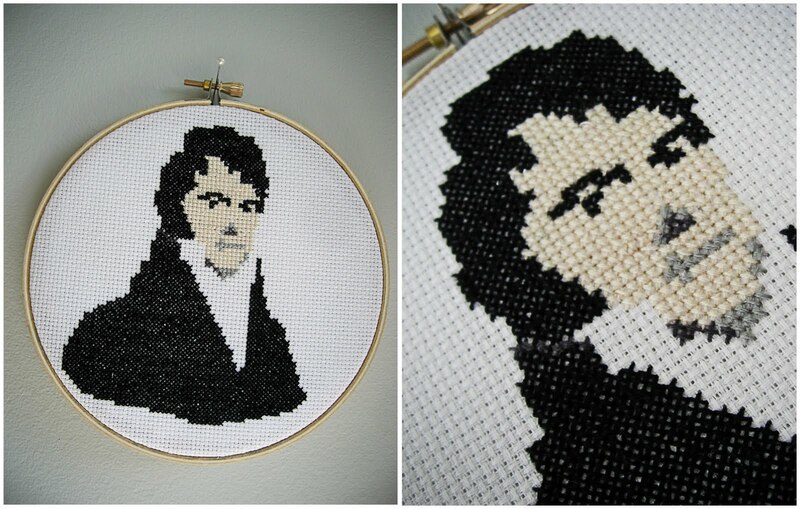 Do you remember way back in January when I first mentioned my recent obsession with needlework and my admiration for this Mr. Darcy pattern in particular? You may recall some other things I said in the new year, promising to set aside more time to learn new crafts and create things just for me? Well, I'm proud to say that six months later, I've killed two resolutions with one stone, and have completed my very own Mr. Darcy! Doesn't he look handsome? The pattern was designed by Naomi Shiek, a talented artist from Tel Aviv. You can download it for yourself here. Thanks, Naomi! 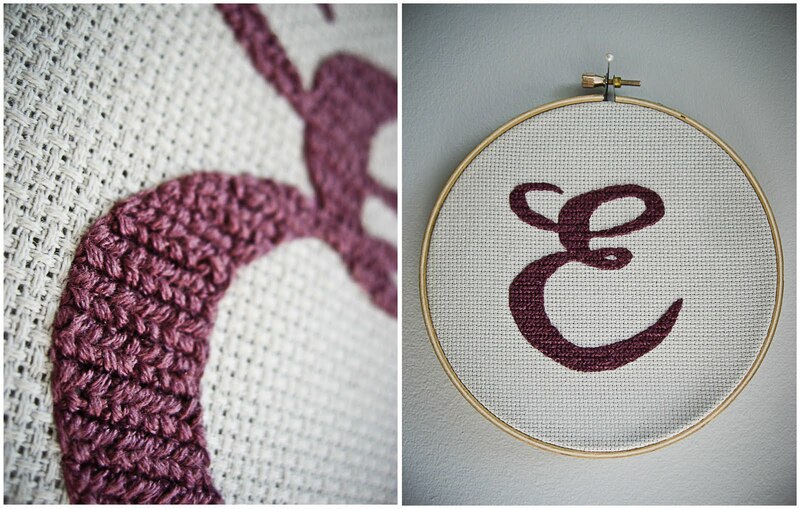 A certain someone was feeling left out of the tv-time productivity and (rather quickly) stitched up this beautiful letter E for me. Ah, modern romance. He chose to go maverick, using more strands of embroidery floss than the standard two and alternating directions, but it ended up creating a rich berber-like texture that I really love! Thanks Mikey! I've been looking for ways to incorporate some needlework into Dear Edna for awhile now and these two projects made me even more excited about it. I'm going to start playing around with some ideas very soon and hope to have some stitchery show up in time for the holidays. I can't let Mikey J's new-found talent go to waste! Ha! That's so cute he made that for you! Oh and I must say Darcy is quite dapper! !